What is DirectoryInfo class in C#? How to get Directory details using DirectoryInfo class? DirectoryInfo class allows you to work with directory and its make directory manipulation as create, delete, info etc easy. It exposes instance methods for creating, moving, enumerating through directories and subdirectories. 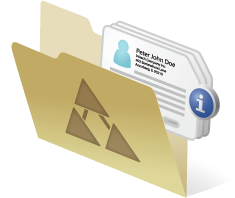 DirectoryInfo class is used for typical operations such as copying, moving, creating or deleting directories. By default full read/write access to new directories is granted to all users. How do I get Directory Details? If you want to delete this directory press small y. Press any key to exit. In this chapter you learned DirectoryInfo class and their programming uses. The next chapter is  FileInfo class which will teaches you how to use it in c# programming.